VANCOUVER - Federal officials say they'll be testing Pacific salmon in the coming weeks to verify the presence of a deadly virus reportedly found on B.C. 's central coast. Simon Fraser University professor Rick Routledge announced earlier this week that sockeye smolts from Rivers Inlet have tested positive for a strain of Infectious Salmon Anaemia, or ISA. 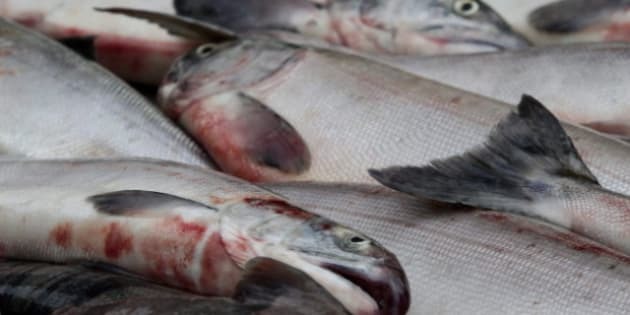 But in a joint statement released Friday, the Minister of Fisheries and Oceans Canada and Minister of Agriculture and Agrifoods Canada said the reports have not been verified by federal officials through what they call "established processes." They also say they are concerned proper protocols may not have been followed during the testing and reporting of the ISA findings. The ministers say federal officials with the ISA reference laboratory in Moncton, N.B, will test samples from 48 fish, and those tests could take four or five weeks to complete. Union of B.C. Indian Grand Chief Stewart Phillip has already called on the federal government to provide emergency funding for more testing to find out how widespread the virus is.